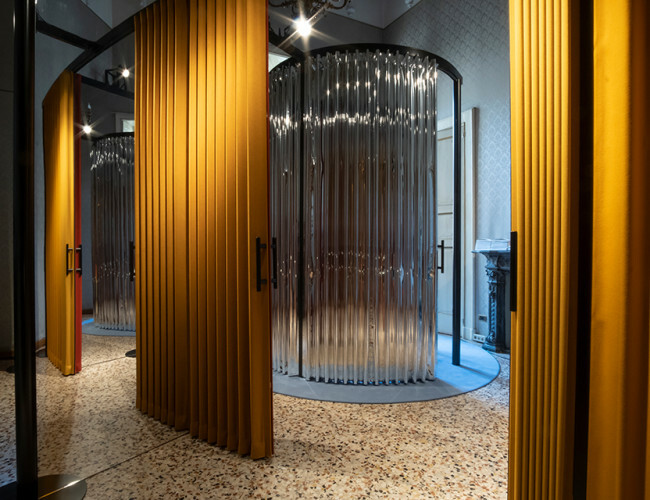 The folding textile “door” was first invented in the 1950s, thanks to the reflections of Joe Colombo and Gianfranco Frattini on the modern dwelling. 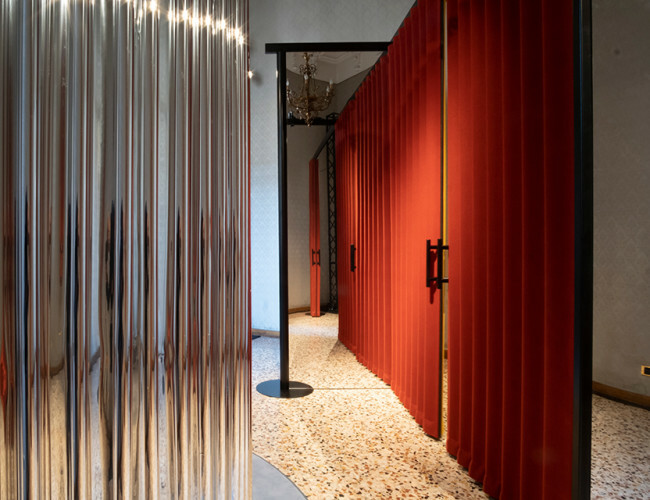 It is a versatile element of interior architecture that can expand space, mark boundaries or hide environments depending on the requirements. 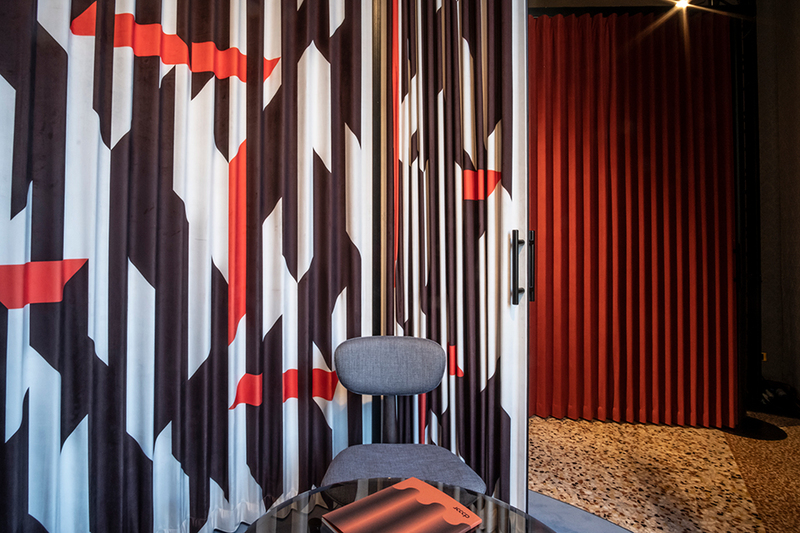 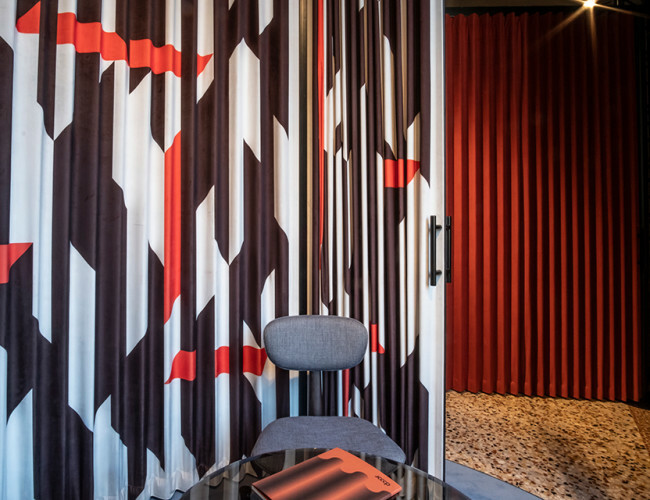 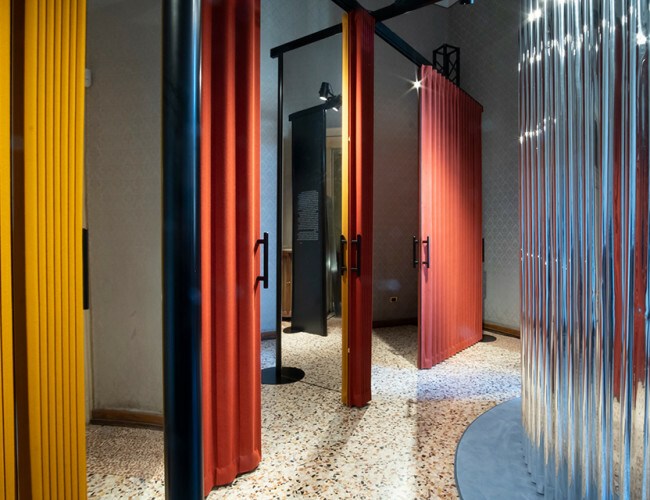 The collection of folding textile doors by newborn brand Dooor preserves this extraordinarily functional feature while opening it up to new aesthetic horizons, thanks to the latest printing techniques and the use of high-tech materials. 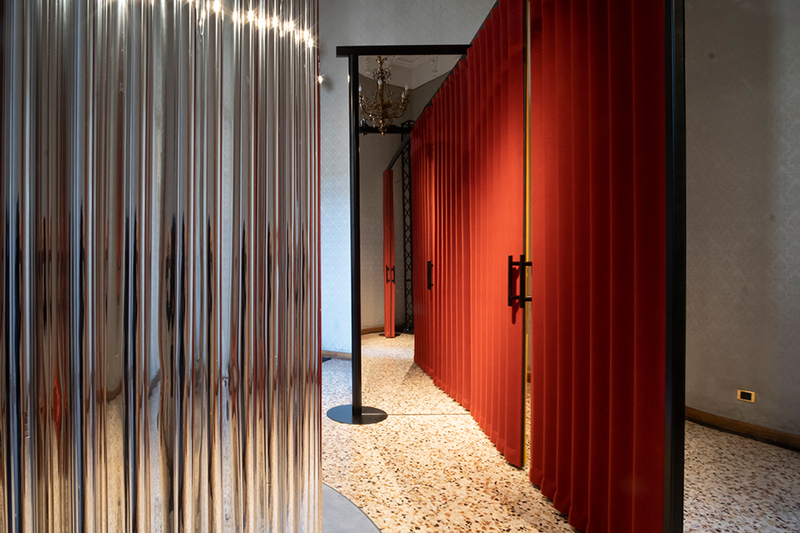 The result is an architectural element that can become the focal point of a space influencing the atmosphere of an environment while still maintaining its essential, original function. 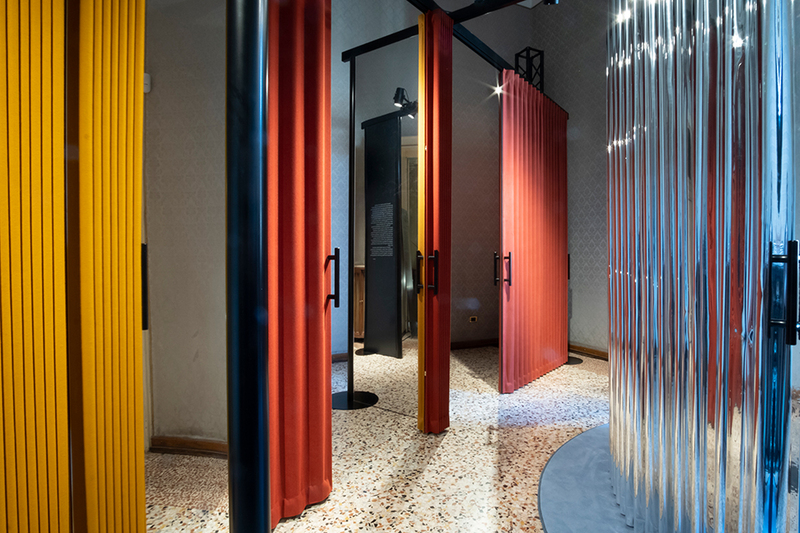 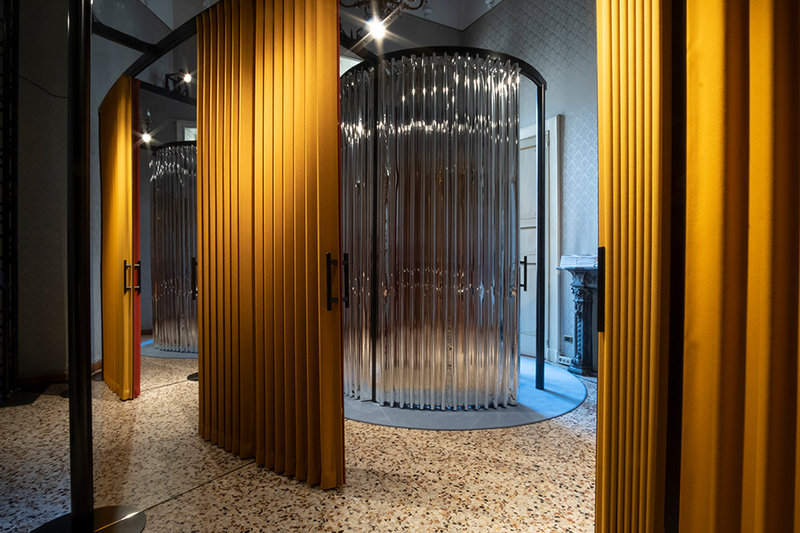 The exhibition Walk Out The Dooor by Calvi Brambilla enhances this dual reading of the folding textile door by creating two paths, one linear and one circular, leaving no doubts about the Dooor collection’s ability to adapt to different spatial and stylistic settings.